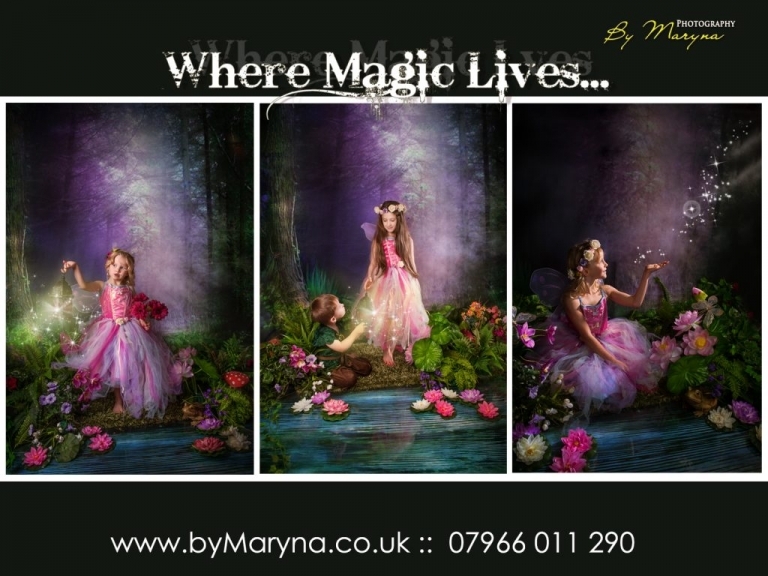 It has been a year out of the fairy photo sessions and this year we are bringing them back to our photo studio in Cornwall. Rich purples, muted magentas and fairy dust has always been a popular choice for the fantasy fairytale portraits. Our fairytale experience gives a lovely opportunity to the children to enjoy role play, have a fantastic time dressing up and in the end receive beautiful portraits they will treasure for the years to come. We’d like to invite all the little fairies and elves to come and visit our magical forest at the Photo Studio in St Austell, Cornwall. We offer you to take advantage of the special deal of 5 digital images for £145 (£105 saving! ), sent to you via download. The fairy sessions are not minis, so can be booked at your time of convenience (and our availability), but you will be able to view and choose your images straight away! This extended offer will expire in the end of February, so book your session now at £35 which will come off your package! Additional images can be purchased upon viewing at £15 per file. We welcome both fairies and elves and have outfits for them all!